What Is a Preview Dialer? Big Advantages of Preview Dialier! Better morale. Everyone hates cold calling. However, when you have a warm lead in the form of an accessible number that is likely to be answered by human being, you have a better chance of closing the deal. One of the most demoralizing things about being on the front lines of telemarketing is the constant demand to make calls. This amounts to simply churning numbers. When you give your agents the option to bump the call from their queue with a preview dialer and take the next one, you are encouraging them to take more initiative. Fewer dropped calls. Thanks to the preview dialer, you will not have to worry about dropping calls and essentially losing leads. This is because the integrated system allows your system to grab the call before it is dropped. Therefore, even if your entire team of agents is busy, the system will pick the incoming calls and handle them in the meantime. Knowledge is power. When a lead pops up on the screen of the preview dialer, it can have information from previous calls that can help the agent to fine-tune their pitch. Encouraging agents to fill in information after each call is not a waste of time, but is instead helping another agent further down the line to close the sale. No need to “turn and burn” leads. The preview dialer is a stellar option or blended dialing. You can allow your team to call expensive leads without hesitation since there will not be a need to “turn and burn” leads through researching calls before they are made. More talk time per hour. When agents are able to place more calls per hour, it means they spend more time talking than dialing and trying to figure out if they are in compliance with the number of rules and regulations for telemarketing. 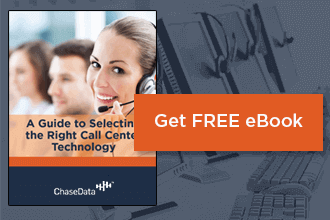 The burden of compliance with do not call lists and other rules should not be left on the agent, but can instead be handled through the call center software. When you need to get a grip on your costs, modernize, and give your agents the tools they need to succeed, call ChaseData and find out about all our call center software. We can tailor a solution for aNo need to “turn and burn” leads. The preview dialer is a stellar option or blended dialing. You can allow your team to call expensive leads without hesitation since there will not be a need to “turn and burn” leads through researching calls before they are made. ny industry, and get you up and running in as little as twenty-four hours. 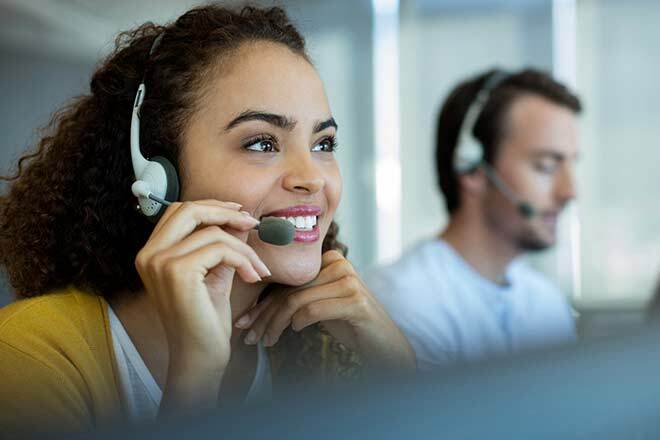 Whether you are returning your call center operations from overseas, updating an existing call-center, or setting up an entirely new operation we have your solution on tap.